According to the U.S. Department of Homeland Security (DHS), an estimated 2,830,000 unauthorized immigrants resided in California in 2012, compared to 1.5 million in 1990 and 2.5 million in 2000. This number represents 24.7 percent of the entire unauthorized immigrant population estimated to reside in the United States (11.4 million in 2012). About 7.5 percent of California's population was estimated to be unauthorized immigrants, with a majority (about 60 percent) from Mexico. Across the entire United States, an estimated 6.8 million unauthorized immigrants were from Mexico, up from 4.7 million in 2000. More recently, the Pew Research Center, estimated that, in 2014, 1.8 million unauthorized immigrants resided in California, about 5 percent of the state's population or 16 percent of unauthorized immigrants living in the United States. In 2013, the Public Policy Institute of California, estimated the unauthorized immigrant population in California to be mostly from Latin American (79%) with a declining majority from Mexico (52%). Further, about a tenth of the state's workforce was composed of unauthorized immigrants and 13% of California K-12 school children had an unauthorized immigrant parent. 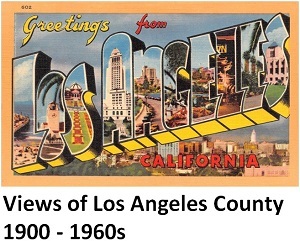 DHS does not offer unauthorized immigrant estimates for Los Angeles County, but the Pew Research Center estimated that the unauthorized immigrant population in Los Angeles and Orange Counties is about one million. It is second in number only to the unauthorized immigrant population in the Greater New York City metropolitan area (1.15 million). Unauthorized immigrant populations in the Houston, Dallas-Fort Worth, Miami-Fort Lauderdale, and Chicago metropolitan areas each followed in respective numbers of 575,000, 475,000, 450,000, and 425,000. The Migration Policy Institute estimates that the unauthorized immigrant population in Los Angeles County is most concentrated in Southeast Los Angeles County, Eastern San Fernando Valley and the San Gabriel Valley. The University of Southern California Center for the Study of Immigrant Integration reported that, in 2013, Los Angeles had the higher percentage of self-employed unauthorized immigrants (14%) and some of the most-settled in California, with a median time of residence of 10 years. * Per the U.S. Department of Homeland Security, "Unauthorized immigrant" is defined as a foreign-born non-citizen who is not a legal resident. Most unauthorized immigrants either entered the United States without being inspected at the United States border or were admitted temporarily and stayed past the date they were required to leave. Other terms commonly used in public discourse are "illegal immigrant," "illegal alien," "unauthorized immigrant" or "undocumented immigrant." “We find ourselves suddenly threatened by hordes of Yankee [American] emigrants, who have already begun to flood into our country and whose progress we cannot arrest….Shall we remain supine while these daring strangers are overrunning our fertile plains and gradually outnumbering and displacing us? Shall these incursions go on unchecked, until we shall become strangers in our own land? We cannot successfully oppose them by our own unaided power; and the swelling tide of immigration renders the odds against us more formidable every day."